Since I lasted posted about the field school I am putting together, I’ve made two trips out to the indigenous host community. Last week, I participated in a information meeting in which community members were introduced to the idea of having students living on their reserve next summer. The assembled group – small but supportive – asked several questions about the benefits of a field school. They then contributed to a growing list of topics they would like to see researched by field school students. 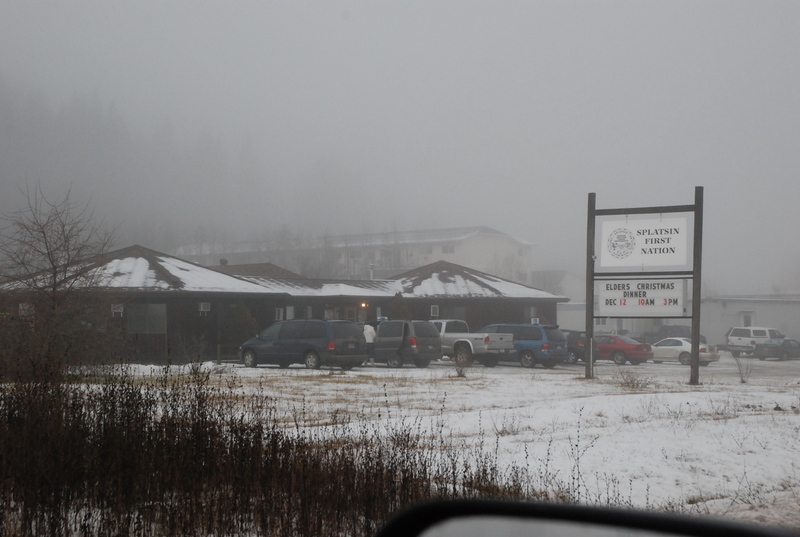 Because of the public meeting, and my current goal of making information about the field school available (particularly to community members), I am able to identify the Splatsin community at Enderby, British Columbia as the hosts of the Splatsin-Douglas College Field School. The Splatsin are Sewepemc (Shuswap) speaking people. They are an interior Salish community in the north Okanagan, north of Vernon. Topics of research interest to them, as identified last week, include broad categories like culture, language, and identity. But, more specifically, there’s a push for research on topics related to ethnohistory and land use. I am working with the members of the Splatsin Rights and Title Department to bring the field school together. We are aiming at May and June, 2011 for the first field school session. The program for students will include two weeks in the classroom at Douglas College, four weeks on the reserve at Enderby, and two more weeks at Douglas College. Next steps for me: 1) ethics review for the field school course and 2) setting up a field school website that will be of interest and use to both students and community members. This was written by Tad McIlwraith. Posted on Wednesday, June 30, 2010, at 8:13 am. Filed under Anth 2193, Field School. Bookmark the permalink. Follow comments here with the RSS feed. Both comments and trackbacks are currently closed. Shuswap Settlement Services Society is leading a program to organize against racism and hate of which the Splatsin Band is a partner. Your work is critical to restoring a people to their rightful place of prominence in the history of our continent. I hope you will make contact with the Enderby Museum so that facility might reflect a fuller account of local history before the arrival of A.L. Fortune in 1866. Thank you for your note and encouragement, Bernard. I do intend to make contact with the Enderby Museum. I think what you hint at is an important reason for conducting the field school. Is there more information about your program? Or, would it be best to ask the Splatsin about it?